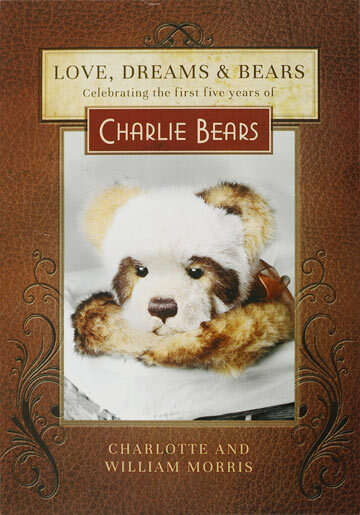 Closely related to one of Charlie's best creations to date, Linus who spanned the most amount of years within the Charlie Bears collection, the only way they could retire him was to bring out a design that was just as stunning. Dandy Lion is beautiful! 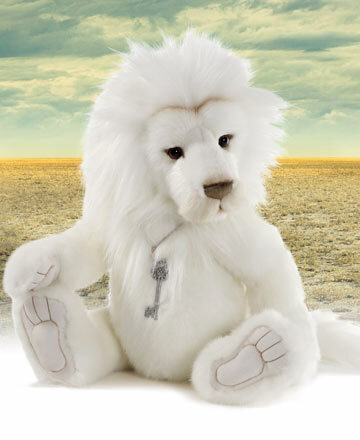 Measuring 18 inches, his five-way jointed body is hand-made from the softest white plush. 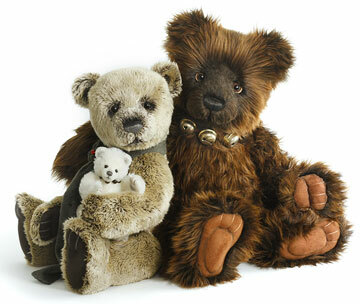 His striking face is perfect with a hand-stitched nose, subtle airbrushing and soulful glass eyes. 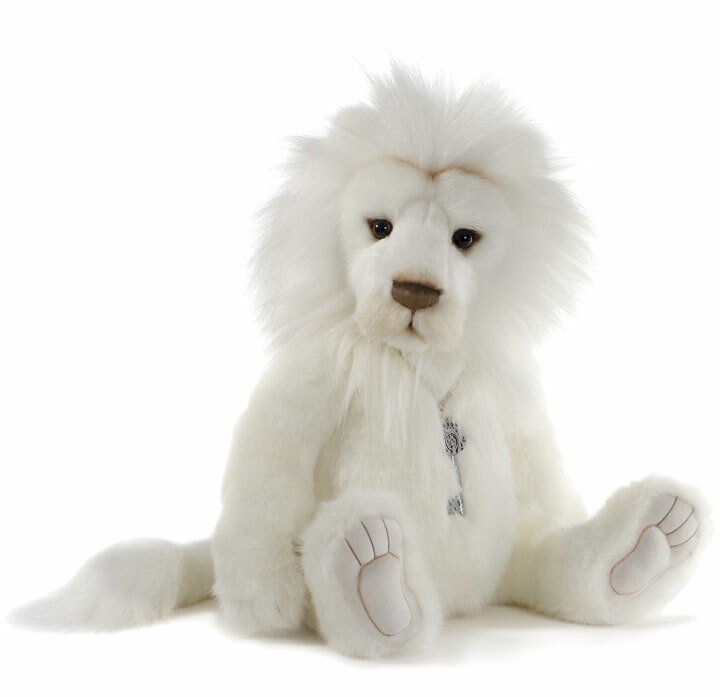 Dandy Lion has ultrasuede 'tickly toe' paw pads with embroidery, sculpting and airbrushed details. For a classic Charlie Bear touch, he wears a beautiful silver skeleton key necklace. 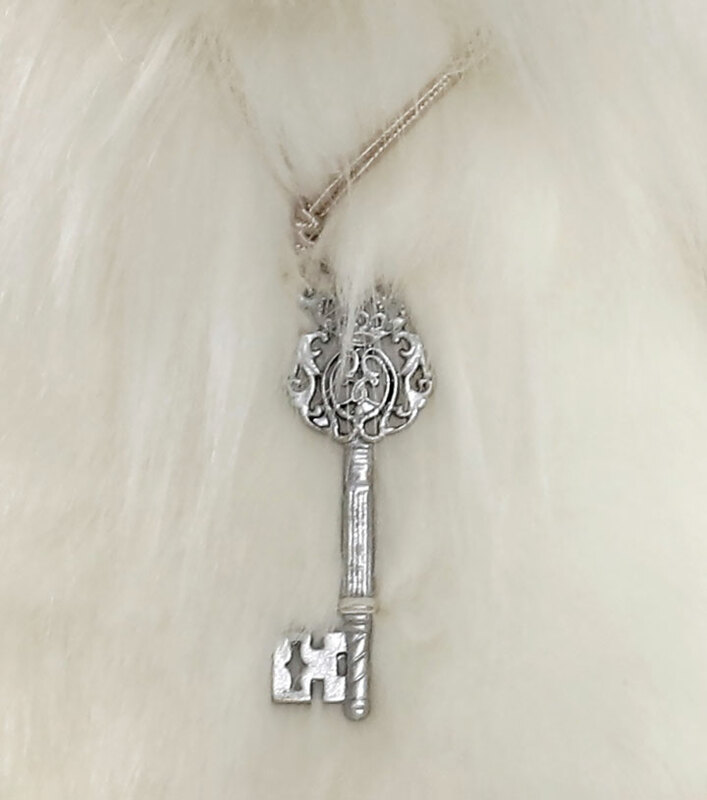 Dandy Lion is part of the 2019 FOLKLORES & FABLES: Charlie Bears Collection. Suitable for ages 3 years and up. 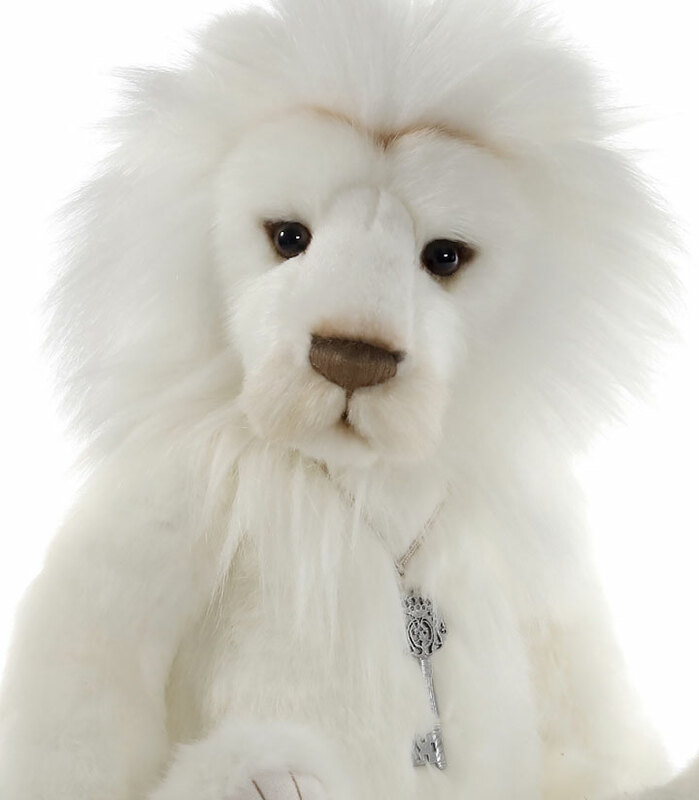 Please Note: So that Dandy Lion is not lonely for bear hugs in the jungle, additional companions have been created for the Charlie Lion Pride; Savannah is a darling little cub, Linus is a brown lion and Clock Lion is gray. 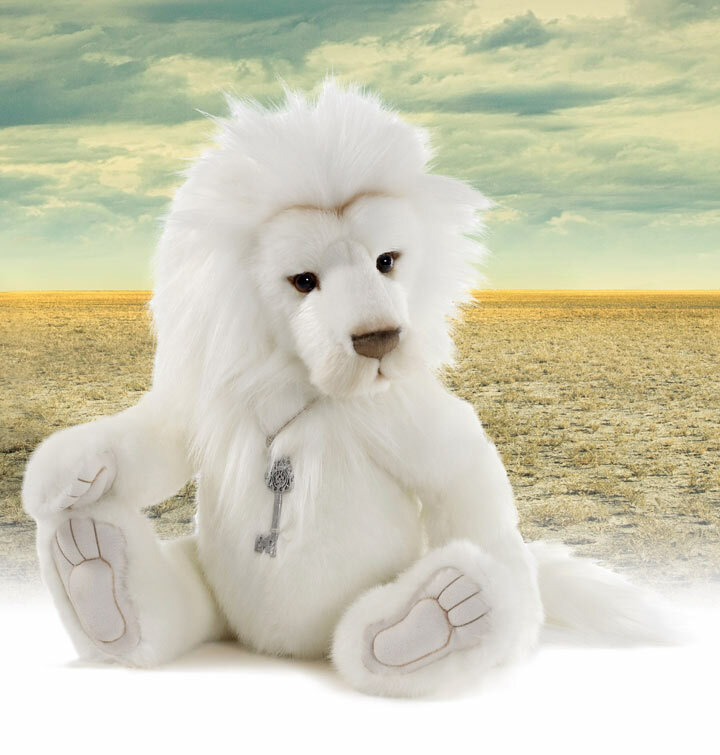 Each lion is sold separately.